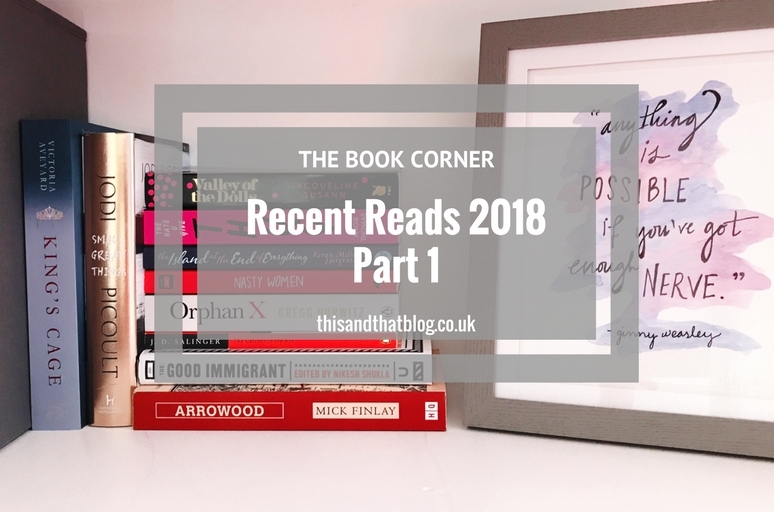 Hello everyone and welcome to the first recent reads post of 2018. What! So we’re only a month and a half into the year and already it’s been a great year for reading. You’ll know from previous natterings over the last few weeks that I have utterly embraced reading this year. I mean I embrace it every year. But for January especially I was very much about taking things slowly and surrounding myself with happy things. Happy things that included curling up with all the blankets and a coffee and devouring a book. And because of these sorts of moments I have read eleven books as week six of 2018 draws to a close. Most of which I am excited to share with you. Before we jump into that I should mentions that I’ve introduced a star system into my review posts. It’s out of five, so it matches my GoodReads account and this way you can see straightaway what I think of the book, rather than having to read all my ramblings! I don’t know why it’s taken me so long to read Coraline, it’s an utterly enchanting read. Coraline wanders into an other version of her house. Complete with other parents and other neighbours. In the real world her parents have gone missing so she must venture into the other house to save them and three other lost souls. I adored this book and raced through it in a day. It feels like a modern day fairytale where good triumphs over evil. I love the sentiment about bravery through the book, and I think it’s a really important idea for children to learn. If you’ve not read it then I highly recommend you hunt down a copy. I’m also adding the film version of this to my Films to Watch list. I’ve heard so many good things about this book so I was eagerly anticipating reading it.The book begins with a woman going missing from a quiet avenue. What follows is a look at the occupants from the avenue through the eyes of two children; Grace and Tilly, who are searching for God, in the hopes that once they find Him, they will find the missing Mrs Creasy. Unfortunately, as is always the way when there’s a highly acclaimed book, I did not enjoy it. Which is so disappointing! I kept waiting for something to happen, and it just didn’t. I felt like there was such potential with this book, but I don’t feel like it reached it. After disappointment with the book above I really needed The Language of Thorns to be a good read. 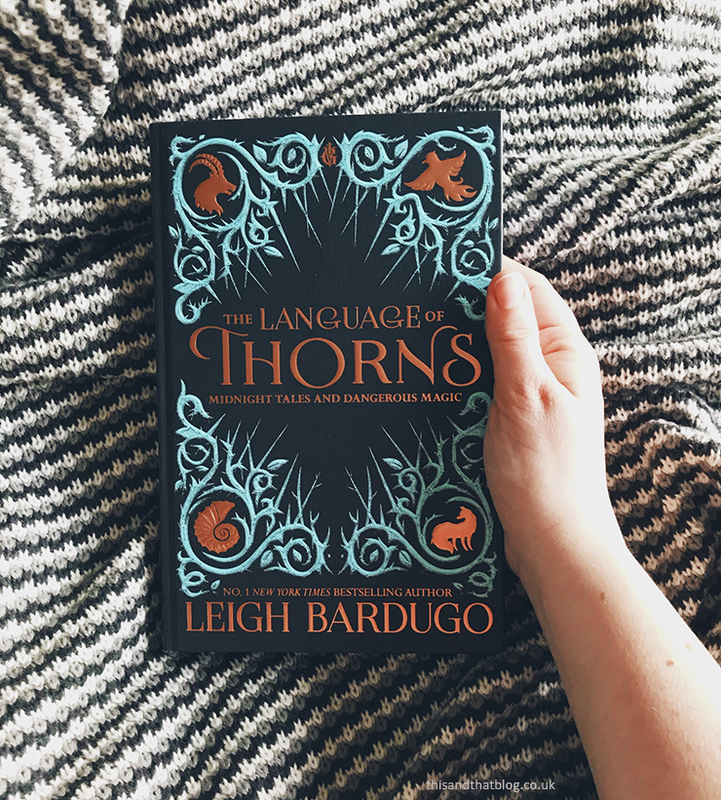 This is a collection of folk tales from Leigh Bardugo’s Grishaverse. Now while I’ve not read her Grisha series I have read Crooked Kingdom and Six of Crows, which touches on the Grishaverse so I have a tiny bit of understanding about the world that Bardugo has created. However I don’t think this is necessarily needed. At the end of the day it’s a collection of stories filled with legends, folklore and mythology. And it’s a magical read. There’s a nod to well-known fairytales and stories like The Little Mermaid, The Nutcracker and Hansel and Gretel. The six stories are all illustrated and the cover is so incredibly detailed. It’s an utterly beautiful book and it feels like a real keepsake. So all in all it was exactly what I needed, and was the perfect read for a winter’s day. In the Mitford Murders we follow Louise who, while trying to find her way out of poverty and danger in London, lands a job as a nurserymaid at the Mitford house. She soon become a confidante of young Nancy Mitford and the pair embark on an investigation to find the murderer of nurse Florence Nightingale Shore. I really really liked this book, they mystery was gripping, the characters were enjoyable and I enjoyed the post-war setting. What’s absolutely fascinating about this story is that in real-life Florence Nightingale Shore was murdered, and her death is still unsolved. I’m intrigued to see how this series progresses. The Exact Opposite of Okay follows Izzy, a schoolgirl who is thrown into the public eye after a one night stand with a politician’s son. We follow the story through the eyes of Izzy as she writes blog posts about the happenings in her town. What follows is an insightful look into the double standards that exist in society today. There are some fabulous characters in the book and the relationships between Izzy and her teacher and best friend, Ajita, are really lovely to see. I absolutely flew through this book, and would have loved for the story to continue further. It is a thoughtful commentary about sexism and white male privilege in society today and I would highly recommend it. Clean takes a look at the the world of rehab and explores themes of addiction, gender identity, eating disorders and mental health. The story is told through the eyes of Lexi, the daughter of a Russian hotel magnate whose brother checks her into a secret island facility to begin 70 days of detox and rehabilitation. It’s a fascinating read and one that I would highly recommend. 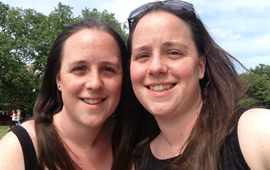 Dawson has managed to weave together a mix of very different characters into a fascinating story of friendship, love and discovering who you are. I was a big fan of Before I Go to Sleep so I was excited to pick up the latest B. A. Paris book. In her new book Paris introduces us to Finn. Ten years ago Finn’s girlfriend Layla went missing in France and she’s not been seen since. Finn is newly engaged to Layla’s sister and suddenly strange things start to happen, mysterious email and parcels containing something that only Layla, her sister and boyfriend would recognise. Who is sending these things and why now? What really happened all those years ago? If you’re a fan of psychological thrillers then this is the book for you as there are twists and turns aplenty. It’s not perfect, and there were moments that had me questioning why certain characters were acting in a particular way, but it’s definitely gripping. I did guess the ending, but it’s still a good one, and you know what I’m like, I pride myself on figuring out the twists! Book three in the Evan Smoke, Orphan X series is here and it’s everything you would expect. It’s a classic spy thriller with the twists, turns and fighting that was present in the first two books. Smoke is still fighting Van Sciver. Trying to stay away from Mia and Peter and still helping those with nowhere else to turn. What’s different about Hellbent is the personal twist that that book takes. From the opening few pages I found myself rooting for the main character in a completely new way. Without giving too much away I think this event, the addition of another new character and the revelation of who is pulling the strings turned this book into something different and gave it something more than the usual spy thrillers available. Sometimes after a few books a series like this can get a little tired, but I’m not seeing that with Orphan X yet. I can’t wait until book four. The final book on my recent reads list is the wonderful Love, Hate and Other Filters by Samira Ahmed. I’d heard a lot of good things about this book, so when I saw it was available to request from NetGalley I crossed my fingers that I would get an early copy. Thankfully I did and was soon engrossed. It’s a wonderful look at a different perspective and I like that the book builds slowly, rather than jumping straight in. This allowed me to get to know the characters and anticipate their reactions. I think this is the first book I’ve read that had a main character who is Muslim, which is ridiculous. It’s made me realise that I should do more to find books that look at other perspectives, and show me other ideas and worlds other than my own, or those that I hear about all the time. Book six in this wonderful series came out on Thursday, and I finished it on Saturday afternoon. It was exactly the read I needed in my feeling sorry for myself state. Spoiler I am really bad at being ill, so while I’ve been fighting a cold these past few weeks I have been particularly grumpy. But this book has soon snapped me out of that. I love love love the world of Daisy and Hazel and when I learned that book six would be taking us to Hazel’s family in Hong Kong I was particularly excited. A Spoonful of Murder has the same fascinating characters, excellent plotting and vivid worlds of the rest of the series but with the addition of a brand new country and culture to explore. I totally want to visit Hong Kong now and experience it myself. I’m also exceedingly happy with myself as I managed to figure out the mystery, normally I’m totally stumped, I think that means that at 32 I am finally getting cleverer. Yay for me! So you may have noticed that I said I’d finished eleven books this year, but only shown ten above. That’s because I included Harry Potter and the Order of the Phoenix as my final book of 2017. Basically I underestimate how long it would take me to read that one. I’d forgotten just how busy my Christmas and New Year was going to be! Also I had quite a few titles from Netgalley in this round of recent reads. I made a flurry of requests at the start of the year and I’ve been making my way through them. But I am looking forward to putting my Kindle down and picking up a physical book for my next read.